Construction taking place on the Burlingame Housing project in early 2014. ASPEN – Four laborers who worked on the Burlingame Phase II affordable housing project financed by the city of Aspen are suing three of the project’s contractors, alleging they weren’t paid for some of their work and were never paid overtime when they worked more than 40 hours per week. The apparent irony of the situation — low-income workers claiming nonpayment for work on an affordable housing project — wasn’t lost on the Golden, Colo. based legal services nonprofit group Towards Justice, which filed suit on behalf of laborers Fernando Villalobos, Sergio Roman, Ramon Gonzalez and Hugo Esqueda in U.S. District Court in Denver on Aug. 13. “This development is ironically advertised as ‘affordable workforce housing that helps to sustain a vibrant year-round community and a healthy local economy,’” reads the lawsuit, quoting the website maintained by the city of Aspen to promote the Burlingame II project. The suit was filed against three construction companies — Haselden Construction, LLC of Centennial, Continental Constructors, LLC of Littleton, and JMS Building of Glenwood Springs. 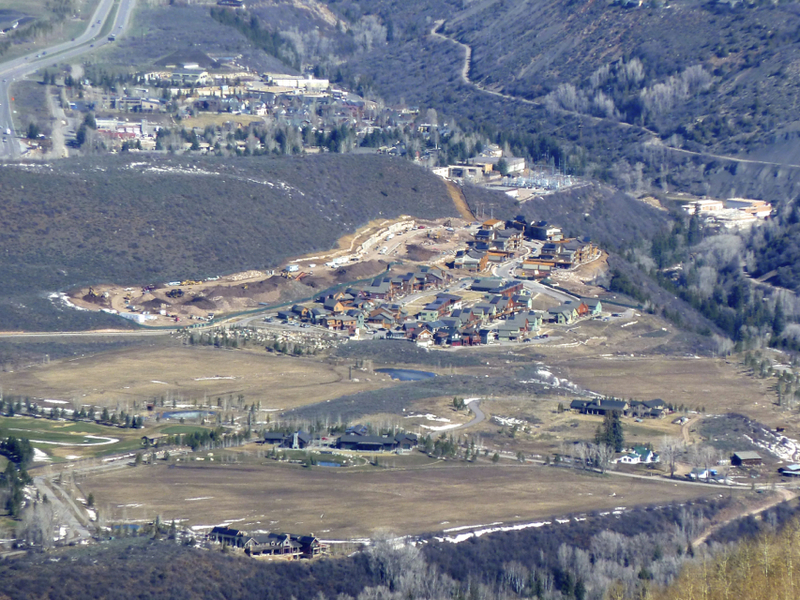 The workers were living in the Roaring Fork Valley when they worked on Burlingame II but some of them have since relocated to the Front Range, according to attorney Alex Hood of Towards Justice, who filed the lawsuit on their behalf. Both sides in the dispute acknowledge that the men were paid for some, but not all, of their work. Complicating matters, two of the contractors named in the lawsuit didn’t agree on the value of the work done by the laborers. As such, they didn’t pay the full bills of the subcontractor the laborers worked for, and that penalty got passed on down the line to the lowest rung on the ladder — the laborers. In addition to the four named laborers, Hood also filed the lawsuit on behalf of around 18 to 20 other unnamed workers who allegedly also worked for JMS Building on Burlingame II. Those workers, Hood said, will have a chance to join the lawsuit if they choose to as it moves forward. Villalobos, the lead plaintiff in the lawsuit, said through Hood that he had to forfeit his apartment and borrow money from friends and family to support his family when his full payment from JMS failed to come through. The lawsuit asks for an unspecified amount of unpaid wages, damages and attorney’s fees for the laborers. Those amounts, Hood said, will be clarified once he has access to time sheets specifying how much his clients worked for JMS. The complaint alleges that the four laborers worked at the bottom of a ladder of subcontractors: JMS reported to Continental Constructors, which reported to Haselden Construction. Haselden, in turn, reported directly to the city of Aspen, but the municipal government is not named as a party in the lawsuit. City officials said they’re not responsible for refereeing payment disputes between subcontractors on major public projects like Burlingame. Burlingame II will consist of 82 subsidized units located about 2.5 miles northwest of downtown Aspen, across from Buttermilk off of Highway 82. The project was contracted out by the city in two phases to two different general contractors. General contractor Haselden Construction had a $23.1 million contract to install the project’s infrastructure and build its first 48 units. R.A. Nelson of Carbondale, which is not named in the lawsuit, won an $11.3 million contract in February to construct the final 34 units, which are nearly complete. So far, city officials said they’ve spent about $43.5 million on the project. Jason Smith, the owner of JMS Building, acknowledged in an interview that some of his workers weren’t paid for all of their work on Burlingame II. But he said the workers were only shorted because Continental Constructors, the subcontractor above JMS, began withholding money from JMS late in 2013 after discovering problems with some the carports that Smith’s workers had installed. Smith also claimed that Continental Constructors refused to pay the last invoice that JMS employees submitted because Continental’s owner, Loren Becker, thought the JMS crew was doing shoddy work and over-reporting their hours. Becker confirmed this account. Smith confirmed that his employees didn’t want to settle with Continental for less than they thought they were owed. Instead, Smith has attempted to recover what he believes Continental owes JMS by filing a claim for $25,739 against a “performance and payment” bond posted by Haselden at the beginning of the Burlingame II project. General contractors on public projects are typically required to post such bonds, which can be used to settle disputes over payment or workmanship. Columbia Builders, a Glenwood Springs-based contractor who — like JMS — worked under Continental Constructors, also has filed a claim for $63,412 against the bond, claiming that Continental hasn’t paid Columbia for all the timber framing work it did on the first 48 units of Burlingame II. Taken together, those two claims add up to around $89,000, and city of Aspen building officials said they plan to withhold at least that much from Haselden Construction’s final payment on the Burlingame II project until the claims are settled. Haselden executives did not respond to several requests for comment for this story. Before issuing final payment for the project, city officials also will post a notice in local newspapers in the coming months inviting any other contractors who claim they haven’t been paid to come forward. The lawsuit filed last month by the four Burlingame II laborers represents the latest claim of so-called “wage theft” to hit an Aspen area business in recent months. In May, the Aspen-based CP Restaurant Group and the Basalt cleaning company Alpine Valley Services settled similar claims with the U.S. Department of Labor (DOL), agreeing to pay back wages and penalties after the DOL discovered that they hadn’t been paying time-and-a-half overtime to employees who worked more than 40 hours per week. Some 39 other Aspen business — many of them restaurants — settled similar claims with the DOL in February for a combined total of nearly $1 million. But unlike in those earlier restaurant cases, the question of whether the plaintiffs in the Burlingame lawsuit are entitled to overtime pay hinges on whether they were in fact employees working for JMS or independent contractors working with the company. According to the DOL, the practice of classifying workers as independent contractors is exceedingly common in the construction industry, since it permits employers to avoid paying for overtime, unemployment insurance and other benefits guaranteed to employees under the federal Fair Labor Standards Act. Smith of JMS claimed that his workers on the Burlingame II project were independent contractors, setting and keeping track of their own work hours and working most days in a self-directed manner, with little supervision. Yet the U.S. Supreme Court has set a fairly high standard for classifying a worker as an independent contractor and exempting them from the protections of the Fair Labor Standards Act. Independent contractors, the court has ruled, are generally those who don’t depend on a single employer for all their income, who exercise some measure of managerial skill or business judgment, who make their own investments in facilities and equipment and who take risks to operate as independent businesses. By those standards, according to Hood of Towards Justice, the Burlingame laborers he represents should be considered employees of JMS rather than independent contractors, and thus should be entitled to overtime pay. “The fact is, you simply can’t subcontract out your labor law obligations,” he said. Editor’s note: Aspen Journalism and the Aspen Daily News are collaborating on coverage of local governments. The Daily News published this story on Thursday, Sept. 11, 2014.